Kappa Kappa Psi is a college coeducational fraternity founded at Oklahoma State University in 1919 by William A. Scroggs who sought to establish an organization that would "bind [dear] friendship together indefinitely" and unite members across the nation. 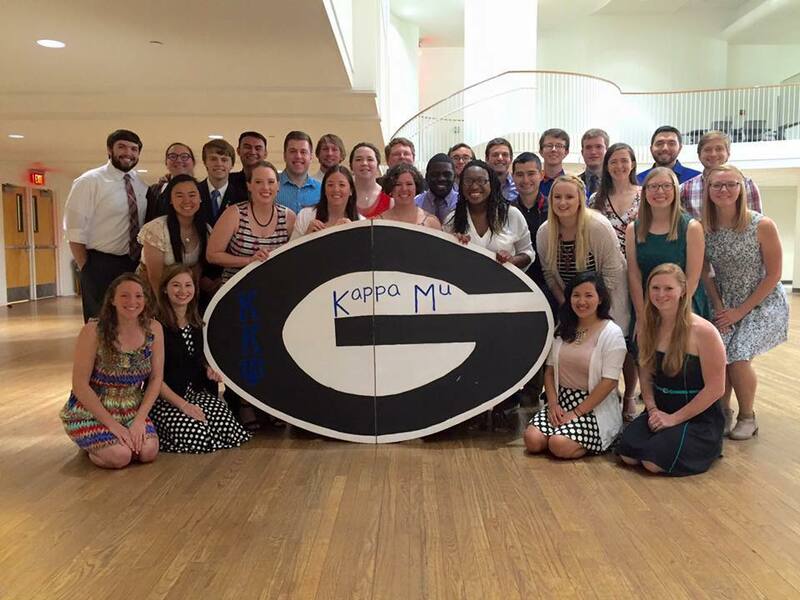 Kappa Kappa Psi's mission is to develop leadership, musicianship, and brotherhood through service to the College and University band programs as stated in the 5 Purposes of the organization and the Fraternal Code of Conduct of Honor, Integrity, Respect, and Loyalty. Prominent members and alumni include Henry Fillmore, Karl L. King, John Phillip Sousa, Leroy Anderson, David R. Holsinger, David Maslanka, Frank Ticheli, John Williams, Ray Charles, Neil Armstrong, President William Clinton, and Chuck Norris. Every year Kappa Mu performs a musicale that showcase the brotherhood's musical talents and the new membership class does a recital.